I have a secret to save 50% or more on spices! 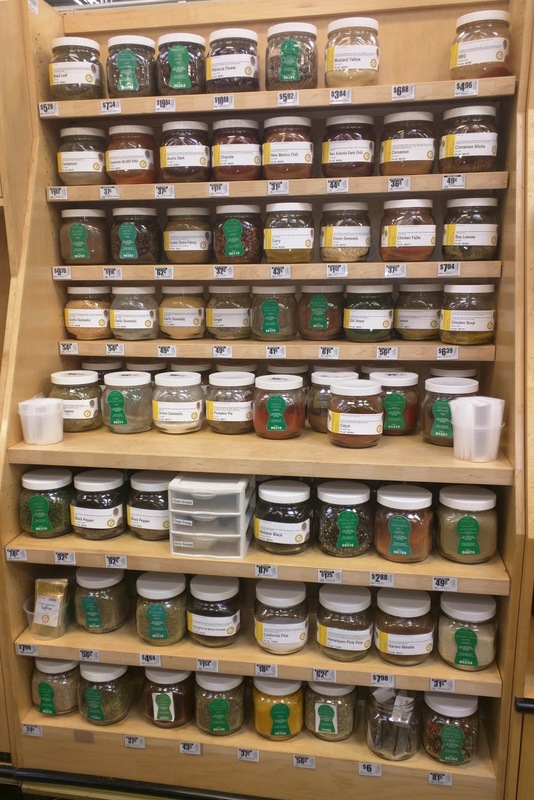 Buy them "loose" from the bulk spices section at HEB. It takes a few seconds more work but the savings are phenomenal. All you do is grab a baggie, scoop yourself some spice, take note of the number on the jar, then go down the aisle to a scale, weight your baggies, type in the number, and print out a sticker with the price. 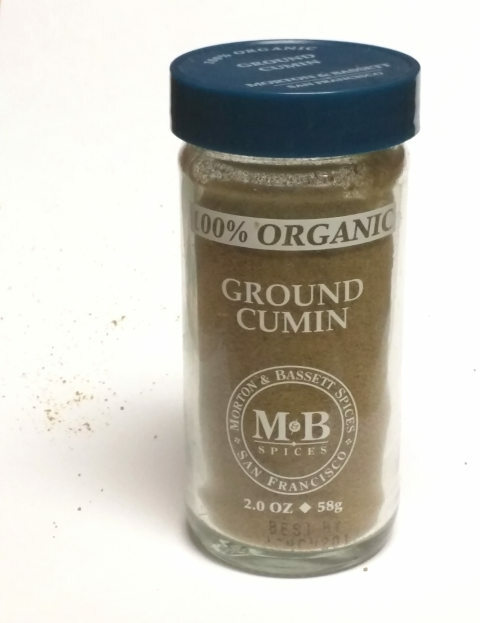 Above is some cumin I purchased--two small scoops. Notice the price, 69 cents! The bag doesn't look big, but it filled up the whole spice jar below. And yes, that jar was EMPTY. So $0.69 filled up a whole jar which usually costs around $6. Now, that jar was organic*, and so might have been a little pricier than most. 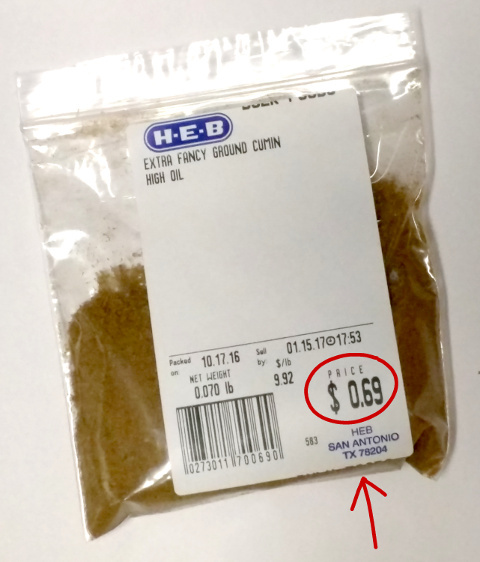 But even compared to of the LOWEST priced jar I could find of bottled cumin ($1.99 for 1.7 oz of HEB generic cumin), my bag of cumin was 1/3 the cost! Guess you pay a lot for that jar! And yes, I've tried similar comparisons with other spices. You get an even better deal with some bulk herbs (bay leaves ESPECIALLY).